Isle a la Cache Museum - "Passenger Pigeons Over Voyageurs"
I’ve had the honor of working with the Isle a la Cache Museum twice. 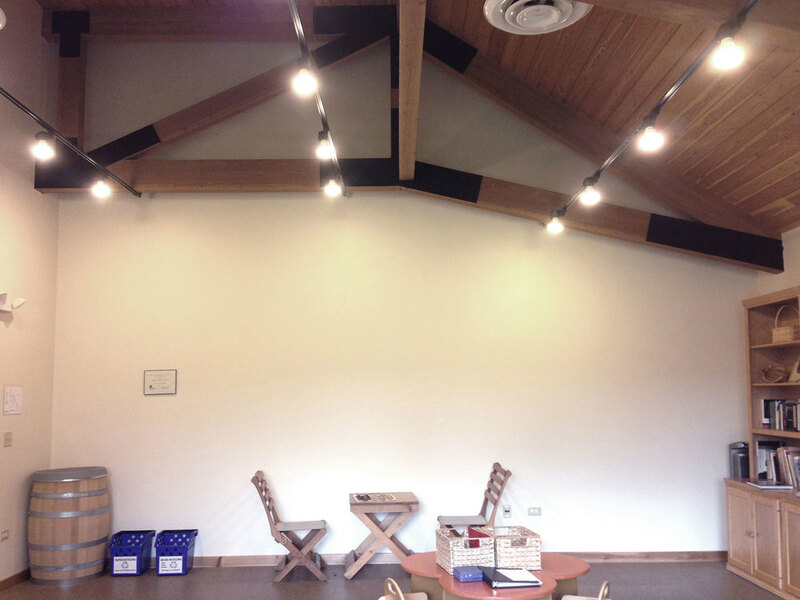 Nestled in a forest preserve, the museum focuses on the history of the fur trade. The Facilities Manager, Chris Gutmann, is an expert in birds and nature, and wanted to shed light on the sad extinction of the Passenger Pigeon. These pigeons were once the most abundant birds in North America, until their numbers greatly declined after European settlement. In the 19th century, their large flocks were so large that the sound of them passing overhead was deafening. One flock was described as 1 mile wide by 300 miles long, and took 14 hours to pass. 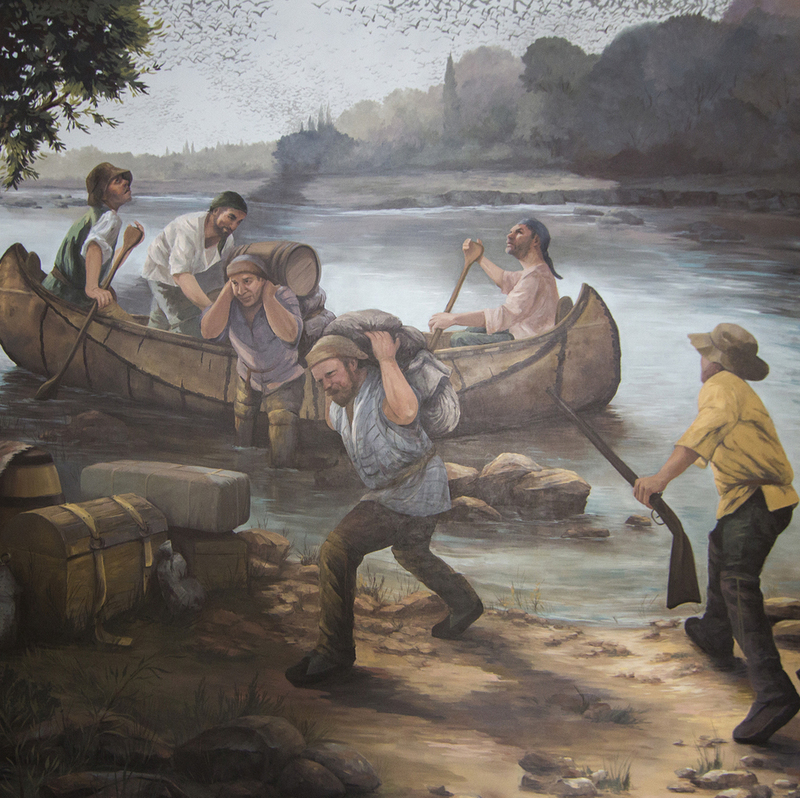 This mural shows voyageurs at that time, unloading their canoes with furs and trading goods. They stop to look up at the giant flock of Passenger Pigeons flying overhead. The mural stands at 16’ high, so visitors can get a full-size impression of that moment in time. Isle a la Cache Museum, "Passenger Pigeons over Voyageurs"
Progress Photo: Paint mural in Los Angeles Studio (top 1/2 of mural).